If the last time faculty, staff and students purchased their parking permits was fall 2017, users will experience a faster and streamlined process for the fall 2018 semester. The information below contains changes that have been implemented within the last year. 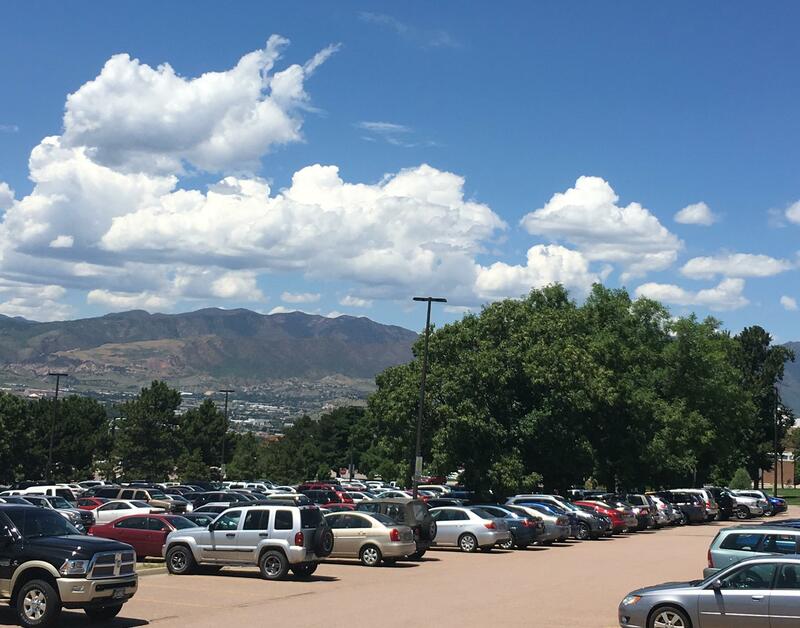 For complete information on parking on campus, please visit https://www.uccs.edu/pts/parking. Users will no longer have to pick up a physical permit before enforcement takes effect at 8 a.m. August 20. When going to the UCCS Parking Portal, the license plate that is entered will take the place of the permit. The new technology was fully implemented in the spring 2018 semester and uses license plate reader technology to know if a vehicle is valid. As soon as the parking permit is purchased, the vehicle is immediately able to park in the appropriate lots. The option to pay for permits in person remains at Parking Services in Gateway Hall. All vehicles can park for free in the 500 series lots on west campus. Vehicles that do not purchase paid permits will still need to register for a free 5S permit (users with existing permits, regardless of type, do not need to register for an additional 5S permit). The registration for all vehicles allows Parking Services to assist users if they don’t remember where a car is parked, to provide a timeline to recover stolen vehicles and provide additional customer service and safety measures. Users will see costs go up 3.3 percent for the 2018-19 academic year. Students will only be able to purchase semester permits. The options for border lots, Alpine Garage, three-day permits, evening permits and Friday permits remain available for students and employees. Employees who use payroll deduction to pay for permits will only be able to pay for parking post-tax, a change implemented in June 2018 by the Tax Cuts and Jobs Act. Additional information on that change can found at CU Employee Services. Visitors to campus can use the ParkMobile app or pay machine. The benefits of the app is that users can remotely add time to their stay without having to go back to their vehicle and pay. For employees that travel to the other CU campuses, reciprocal parking will remain in effect, but users will need to pick up a physical permit to use on the other campuses. The permit will outline the specific lots that are included on the other campuses. For groups hosting large events with off-campus visitors, contact Parking Services for new options for event parking. State funds, per Colorado state regulations, can’t be used for parking support or services on campus. That means construction and maintenance are funded only through permit sales, parking fines and visitor parking. Shuttle buses from west campus for students and employees, and the new College Pass Program from the City of Colorado Springs’ Mountain Metro Transit for students, remain free options.